If you follow me on Twitter or have read any of my other posts, you’ll know how much I LOVE Italy and cannot wait to get back there this summer. 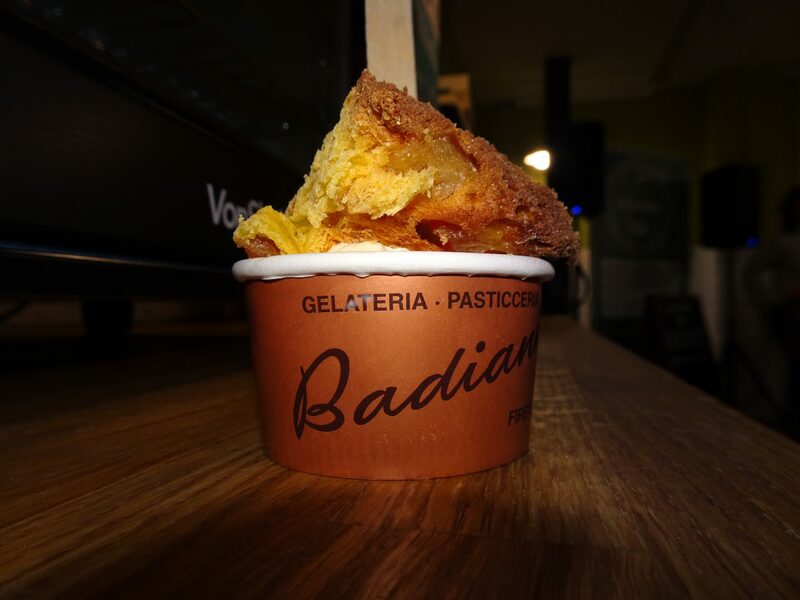 The sun, the food and the GELATO – just some of the Italian delights I am looking forward to getting to. I was invited to a Gelato Masterclass by my fave Jessica from Food and Baker, which was taking place at Mercato Metropolitano. Mercato Metropolitano is a vibrant and social market based in Elephant and Castle. 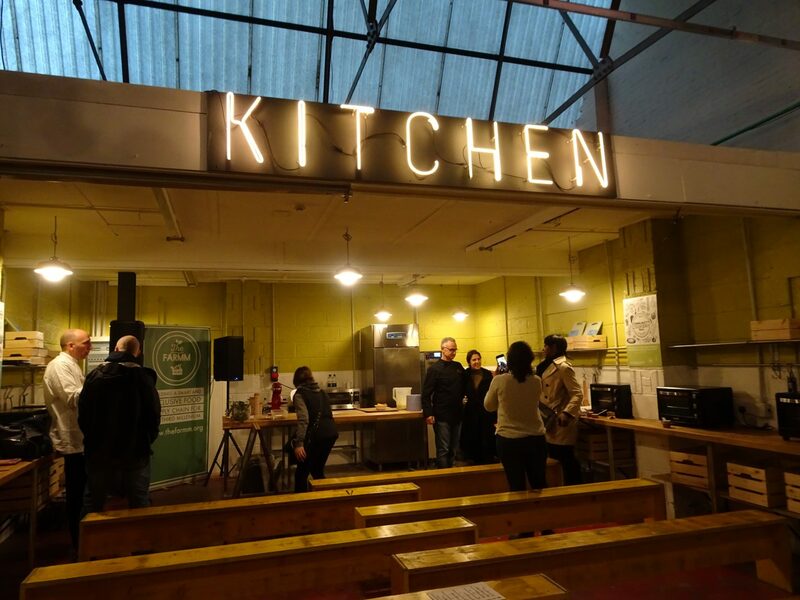 They work with small farmers, local producers and members of the local community to create a positive and social community space with a variety of foods on offer. 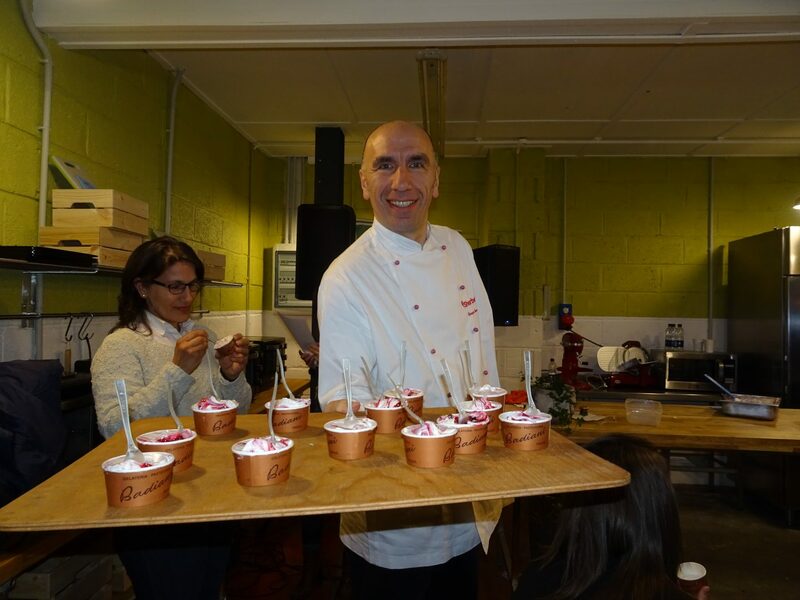 We attended the Gelato masterclass where we learnt how to make gelato at home. I know right.. making gelato at home! Once I have mastered the recipe, BBQ and gelato party at mine. 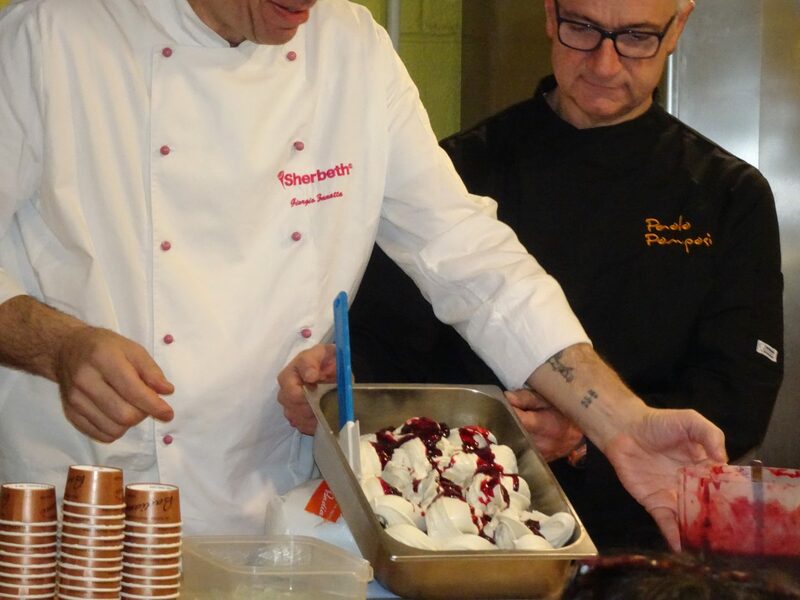 The masterclass was hosted by Paolo Pomposi, winner of Gelato Festival 2015 and Giorgio Zanatta, winner of Sherbeth Festival 2016. 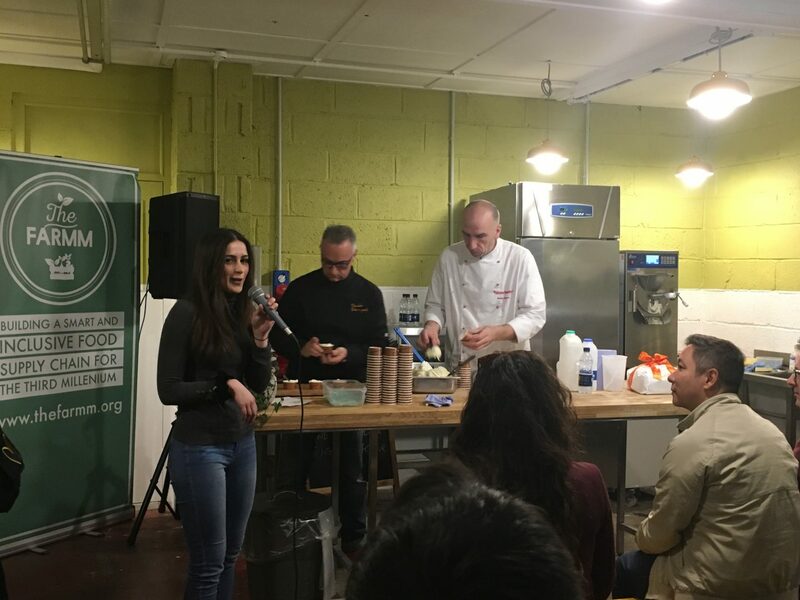 Throughout the masterclass, we were told about the history gelato, the difference between ice cream and gelato, and their very own tricks of the trade. To top it all off, Paolo and Giorgio made three different flavours of gelato right before our very eyes and we were able to taste them. Fresh, homemade gelato and we were allowed several portions of it LOL. 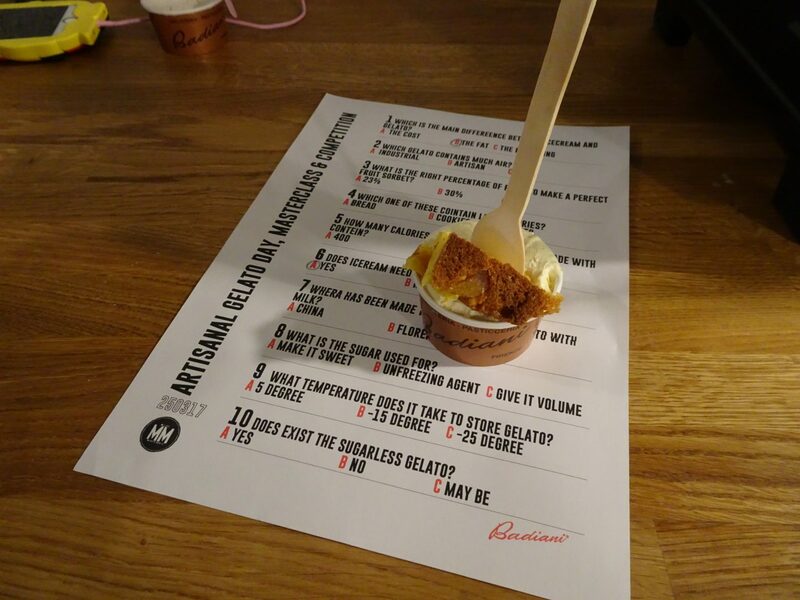 The first flavour was plain/original and it was so good – I could have demolished the entire tray. Second flavour was La Dolce Vita, which was an award winning flavour which encompassed berries. Last was Colombo, which had Colomba the cake that Italians have to celebrate Easter. I cannot fault any one of them, they were INCREDIBLE – I even found myself scraping the pot, haha. 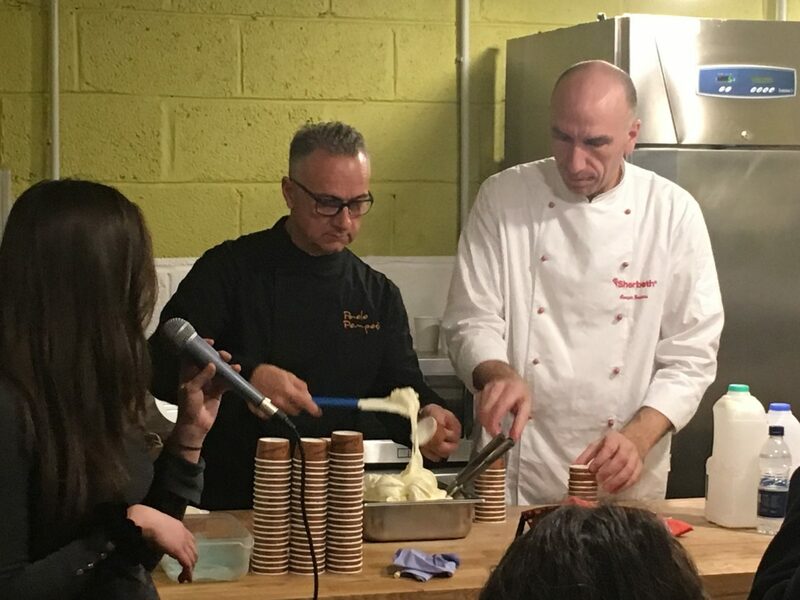 I really enjoyed how the masterclass was structured as they gave us some insight to the history of gelato, gave us gelato, taught as more and then gave us more etc. 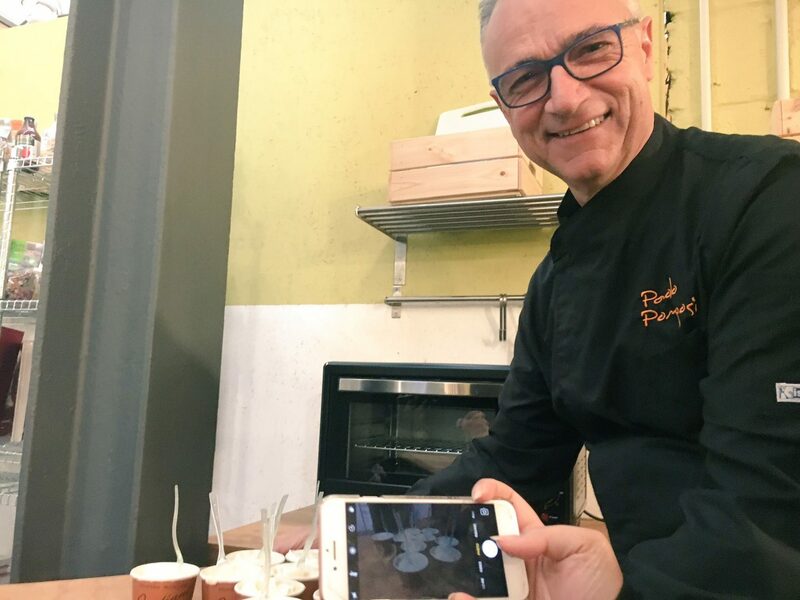 You could tell that both Paolo and Giorgio were passionate about their craft and enjoyed sharing their knowledge. I definitely cannot wait to create my very own gelato flavour, you’ll have to wait and see what flavours it has. 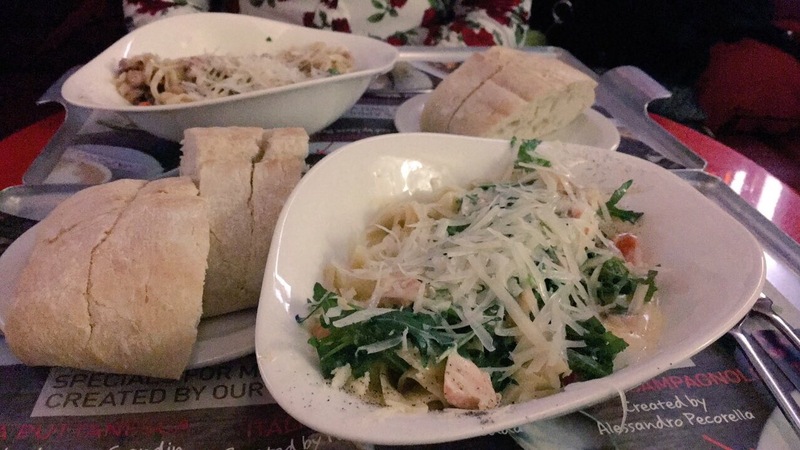 After amazing gelato, we decided to continue our Italian adventure and went to Vapiano. Vapiano is probably one of my favourite places to eat. I usually get the same thing, Salmon Carbonara, this time I got Salmone as it was recommended by the chef. He was pretty cute btw, so I couldn’t help but take his recommendation, haha. As always, it was a pleasure spending my afternoon/evening with Jessica and I look forward to our next destination day. Mexico? It was a great trip to Italy and I didn’t my passport. Jessica was given two complimentary tickets, as always my opinions and photos are my own. Yaasss baby girl! Mexico it is! Such a great day with amazing food! Glad to have shared it with you! Looks great! I love gelato! Awww I remember reading about your trip on Jess’s blog and being so jealous, and this post gave me the exact same feels! 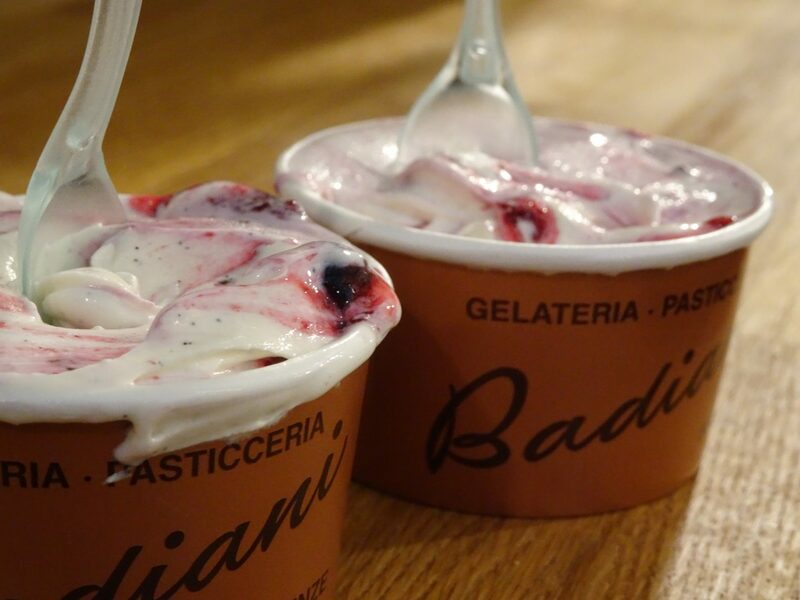 La Dolce Vita with berries sounds like the perfect gelato for me, I definitely want to visit this little piece of Italy! OMG the gelato looks so bomb! Nice blog post! I definitely wanna learn how to make my own gelato.